THE MAYBELLINE STORY : Maybelline founder's love of beautiful automobiles lives on today through author Sharrie Williams. Maybelline founder's love of beautiful automobiles lives on today through author Sharrie Williams. ﻿﻿ Bill Williams with his buddy Earl looking at his 1935 Ford convertible given to him by his uncle Tom Lyle Williams for his 15th Birthday. Bill's love of automobiles, like his uncle TL, became a theme throughout his entire life. At his death in 2006 Bill had a collection of 12 classic cars at his estate in Palm Springs California. All but one car was sold - his favorite, a 1977 Clenet,series 1, was kept in storage for five years before his daughter, author Sharrie Williams and her siblings restored it recently and now will show it at the Desert Classic Concourse D'Elegance in La Quinta, California, Feb 27. Stay tuned for video's of the event and "Bill The Clenet" as it begins it's comeback and hits the show circuit. Also check out Bill Williams in 1977 on the Classic Clenet Club website below, just click on HISTORY, and than CLENET ON TELEVISION. Scroll down to the box that shows KEN NORTON and Bill will show up talking about his new car. 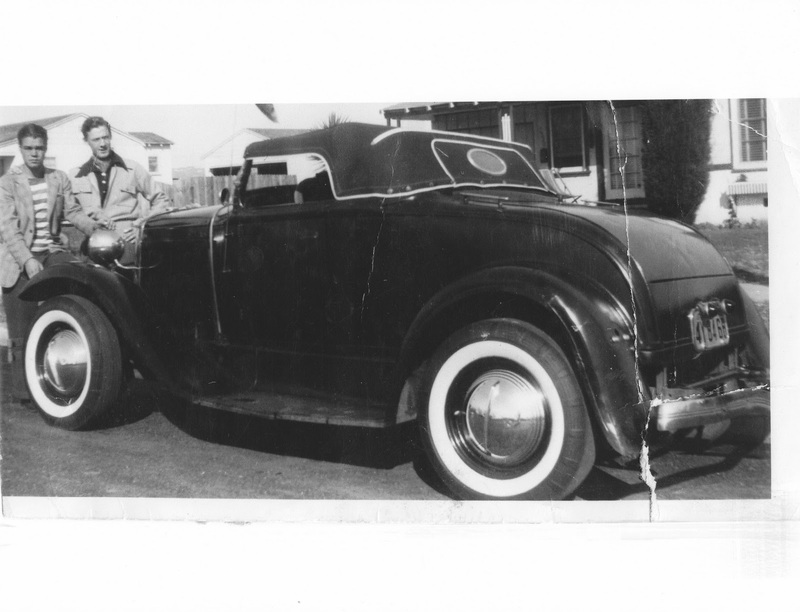 Read more about Maybelline founder, Tom Lyle Williams and his love of beautiful automobiles, his nephew Bill growing up around the at the Villa Valentino in Hollywood and the glory days of the Maybelline Co, in The Maybelline Story and the Spirited Family Dynasty Behind It. Buy an autographed copy for $14.99 - click on maybellinestory.com for purchase.